Despite being elected to the League in 1900, twenty years before the Town, the first meeting between Swindon and Stockport didn't take place until 1958, after the reorganisation of the Division Three North and South divisions into Divisions Three and Four. 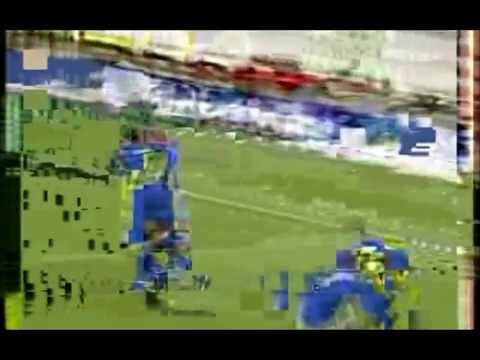 County won the opening encounter 2-0 at Edgeley Park, the Town won the return game 3-0 at the County Ground. 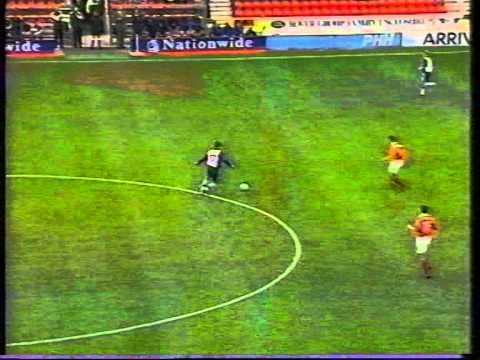 Stockport were the opponents in the final game of the 1995/96 season, when Swindon picked up the Second Division Championship trophy - a crowd of nearly 14,700 expectant Town fans saw the two teams play out a drab 0-0 draw before the trophy was awarded. After Swindon thump four past Stockport, HTV interview the new Town boss after his first three months in charge. Swindon are denied victory at Edgeley Park by a late equaliser. The County Ground is packed, ready to see the champions receive the Division Two trophy - but the Town can't win on the final day to put the icing on the cake, and Stockport's hopes of making the play-offs are dashed. 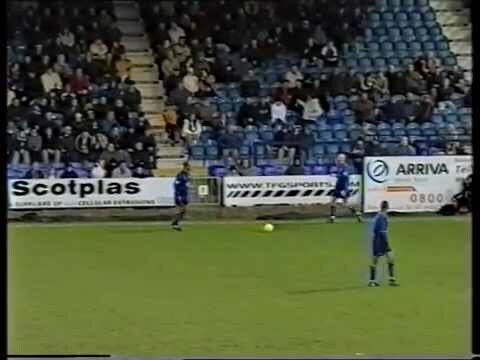 After Wayne Allison departs for Huddersfield, the Town struggle at Edgeley Park, going down 4-2 to Stockport. After a dull first half, Alan McDonald's goal fourteen minutes from time looks to have won the game, before a late Stockport equaliser. 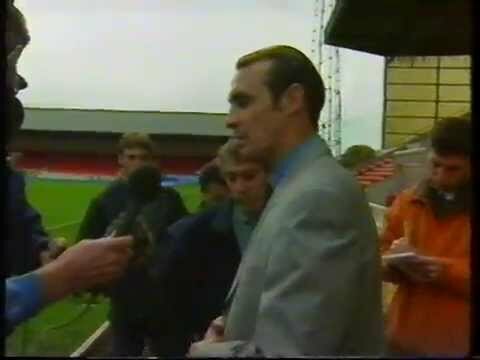 Jimmy Quinn's first match as Swindon boss ends in a 3-1 home defeat to Stockport. 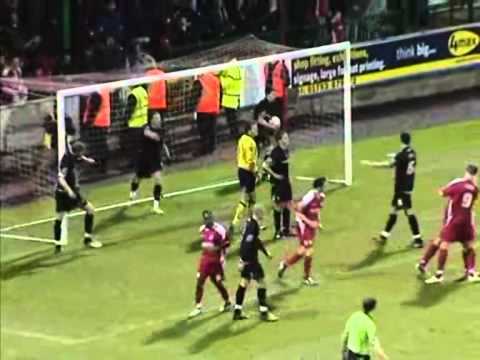 Jimmy Glass' poor clearance is punished by Tony Dinning - but Chris Hay gets the Town back on level terms. 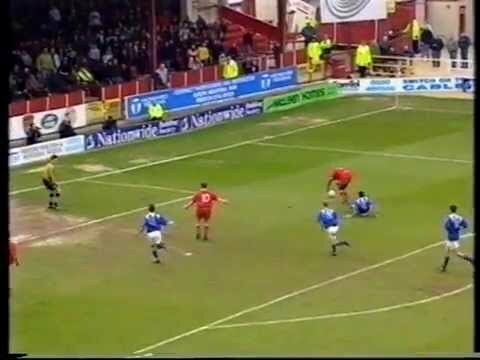 Swindon lose 1-0 at home to Stockport. 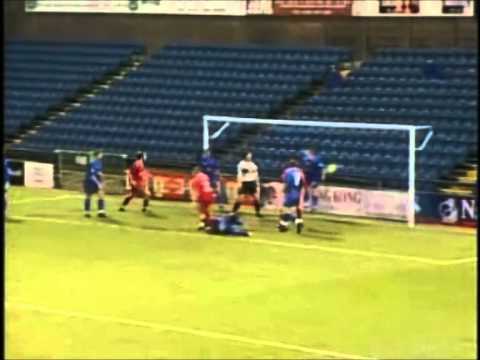 Five different scorers find the net, as the Town thump Stockport at Edgeley Park. 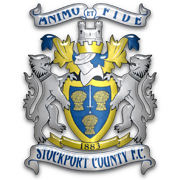 Stockport come from behind to beat the Town. The Town record their second 4-2 win on the bounce, after streaking to a three goal lead in the first eighteen minutes. 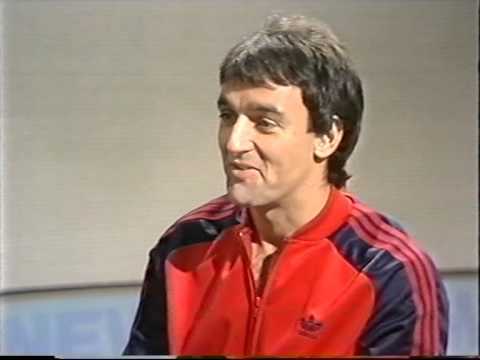 Disgruntled Town boss Andy King declares that he "didn't care" about Rory Fallon's goals, and that he wanted the striker to lead the line like a player of his build should - after he watches his Swindon side throw away a three goal lead. A crazy four minute spell just past the hour sees the Town score three goals - killing the game off against Stockport. Swindon maintain their perfect start to the season, thanks to goals from Aaron Brown and Christian Roberts. 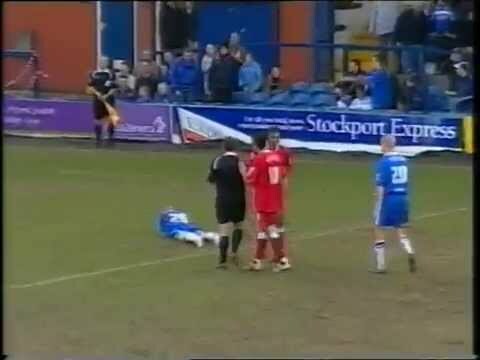 Jerel Ifil is sent off as the Town go down 3-0 at Edgeley Park. 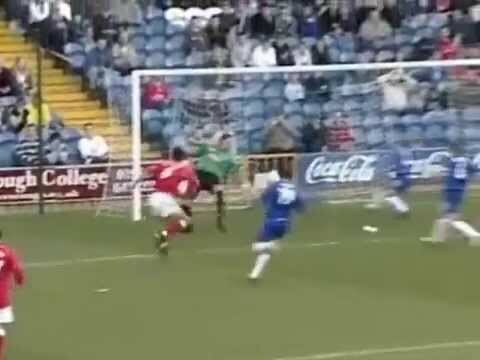 Craig Easton's leveller nets a deserved point for the Town at Edgeley Park. Jack Smith's follows up after his own penalty is saved, but the night only gets worse for the Town - Barry Corr stretchered off before Anthony Pilkington's equaliser. 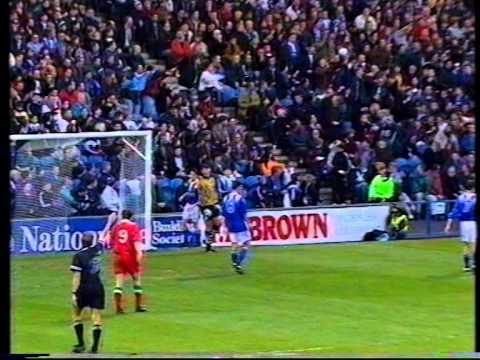 Billy Paynter's penalty is the only goal of the game. Swindon make it nine wins and a draw from their last ten home games, with an easy 4-1 win over Stockport. 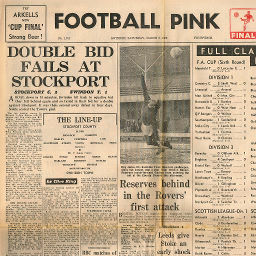 Click to view a newspaper report of Swindon's 0-2 defeat at Stockport County in the 1958-1959 season. 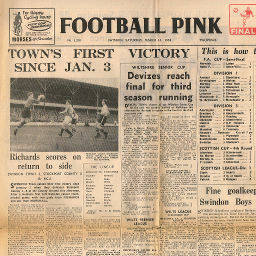 Click to view a newspaper report of Swindon's 3-0 win against Stockport County in the 1958-1959 season. 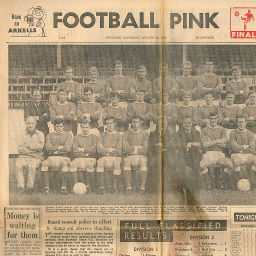 Click to view a newspaper report of Swindon's 0-2 defeat at Stockport County in the 1967-1968 season. 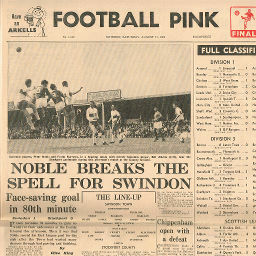 Click to view a newspaper report of Swindon's 1-0 win against Stockport County in the 1968-1969 season. 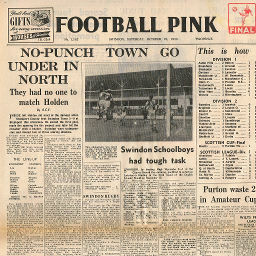 Click to view a newspaper report of Swindon's 1-2 defeat at Stockport County in the 1968-1969 season.